At Tuesday's, January 9th, joint meeting between the Cannabis Regulation Community Advisory Group (CAG) and the Nevada County Board of Supervisors, the Board voted to accept MIG's report of the CAG's recommendations and formally dissolve the CAG. The CAG met ten times over the last eight months, with two additional joint meetings with the Board of Supervisors. Members of the CAG dedicated over 2,000 hours to attend meetings, inform themselves of cannabis issues, and to discuss and develop cannabis recommendations for Nevada County. Moving forward, County staff is expected to come back to the Board to present the next steps in the cannabis process at the February 13th Board meeting. When details are finalized, this will be posted to Nevada County's Cannabis Conversation web pages and Nevada County social media sites. 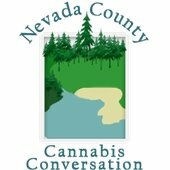 For more information about Nevada County's cannabis process, visit the Cannabis Conversation web pages. At this week's January 9th Board meeting, the Nevada County Board of Supervisors unanimously approved additional funding for winter overflow at Hospitality House. This funding, together with matching funding provided by the City of Grass Valley, will help fund fifteen additional emergency shelter beds from November 15, 2017 through April 15, 2018. The joint effort from Nevada County and the City of Grass Valley will help with increased staffing and resource needs associated with the larger winter capacity. According to Hospitality House Executive Director Nancy Baglietto, "with no continuously operating winter warming shelter yet in place, the County's funding will help to fill a critical safety gap for those who have nowhere else to turn during the coldest months of the year…We are fortunate to have the support of the County and appreciate their ongoing collaboration." The winter overflow funding is part of the larger plan to address homelessness presented by Nevada County Health and Human Services Agency Director Michael Heggarty and Housing Resources Manager Brendan Phillips at the January 9th Board meeting. The plan consists of three major focus areas: coordination of services, housing, and a homeless services day center. For more information on the plan, visit the Better Together web pages. The Nevada County Reads & Writes program for 2018 has officially begun! Copies of this year's book choice, Everything I Never Told You by Celeste Ng, are stocked at all Nevada County Community Library branches. Everything I Never Told You explores love, loss, grief, expectations, gender and cultural bias through an engaging narrative that will generate meaningful discussion in our community. Thursday, February 8th, 5:00 p.m. - 7 p.m.: Book discussion and presentation by Dr. Sarah Woerner, hosted in conjunction with our Rural Gateways Pushing the Limits program at the Smith Winery Tasting Room in Downtown Grass Valley. Wednesday, February 21st: Deadline for Nevada County Writes high school student submissions. Thursday, April 12th, 4:00 p.m. - 7 p.m.: An Evening of Community Mental Health in the Community Room at the Madelyn Helling Library in Nevada City. Thursday, April 19th, 7:00 p.m. - 8:30 p.m.: Young Adult Author Panel and Book Signing with authors Emily Ziff Griffin, Jeff Garvin, Hilary T. Smith, and Kim Culbertson, moderated by Sands Hall at the Universalist Unitarian Community of the Mountains in Grass Valley. Visit www.NevadaCountyReads.com for more details, including writing submission guidelines, or register for these exciting programs on Nevada County Library’s event calendar. Nevada County Reads & Writes is a county-wide program designed to get the whole community reading, writing and discussing issues that affect us all. The program is sponsored by the Nevada County Community Library, the Nevada County Superintendent of Schools, and the CALIFA Group. This year's Nevada County Reads & Writes programming is supported by Book to Action, a grant administered by the California Center for the Book, a program of the California Library Association, supported in whole or in part by the U.S. Institute of Museum and Library Services under the provisions of the Library Services and Technology Act, administered in California by the State Librarian. For more information, please contact Crystal Miles, Madelyn Helling Library Branch Manager, at (530) 265-7078. In mid-July of 2017, while attending the Truckee American Legion meeting, the Post Commander reported he had learned of a veteran with an unmarked grave in a local cemetery and requested help to get the veteran the military headstone that he deserved. Partnering with a local historian, the Nevada County Veterans Services Office was able to gather a few muster roles from his time in the service and the newspaper article of his death that stated he received an honorable discharge from the United States Marines. It was also learned that his discharge papers were on him when he passed away in the small town of Floriston outside of Truckee. Joseph J. Dugan separated from Mare Island, CA on November 11, 1918 after serving four years in the Marine Corps. He immediately moved to the town of Floriston. Within a month he became ill and died of pneumonia on December 12th. He had no known relatives and was buried in an unmarked grave of the Odd Fellows Cemetery in Truckee. The Veteran Service Office submitted the claim in November of 2017 and the Truckee Cemetery took possession of Mr. Dugan's military headstone in mid-December. The cemetery plans to set the headstone and have a formal military graveside ceremony for Mr. Dugan in the spring of 2018, almost 100 years after his passing. We should never forget those that have served our country. For more information, Veteran Services Officer Kevin Edwards can be contacted directly at (530) 265-1446 or via email at kevin.edwards@co.nevada.ca.us. Susan Leff has joined Nevada County as the Assistant Public Defender in the Public Defender's Office. Susan is the first lawyer in her family. She dedicated her career to helping others through advocating for indigent defendants, prosecuting rogue police officers, teaching law students and training other lawyers. 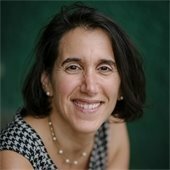 Susan is a New York transplant who most recently lived San Francisco as an Adjunct Law Professor at Golden Gate University School of Law in San Francisco where she taught Criminal Litigation, Trial Advocacy, the Criminal Litigation Clinic, and was previously Acting Director of Externships. She has been a deputy public defender in San Joaquin, Stanislaus, Napa, and San Francisco counties. While at the San Francisco Public Defender's Office, she began a police practice project and trained new lawyers in the Fourth, Fifth and Sixth Amendment, all while carrying a full felony caseload, including homicides. She received an award in recognition of her contributions in the area of police practice. In 2004, she worked at the San Francisco Office of Citizen Complaints (now the Department of Police Accountability), and in 2011 received the National Defense Investigator's Association 2011 Profiles in Courage Award in recognition of her dedication and professionalism in training criminal defense professionals and her willingness to speak truth in the face of adversity. In addition, since 2012, Susan has served as co-coordinator of and a presenter at the annual California Public Defenders' Association (CPDA) Basic Trial Skills Program. Currently she is on the Board of Directors for CPDA and is working on legislative policing issues. Susan has moved to Nevada County and is figuring out the lay of the land while waiting for the school year to end before her husband and three children join her. The Nevada County Public Defender's Office is pleased to welcome Susan to Nevada County. Nevada County Child Protective Services would like to send a heartfelt and indebted "thank you" to all of the county offices, community services providers and community members for making the holiday season wonderful for our local families and foster children through their selfless donations. The community's ability to come together and meet the needs of our counties most vulnerable population is astounding and appreciated. The substantial amount of donations of food, gift cards, baskets, clothes, and school supplies lets our most vulnerable population know that our community is there for them and to ensure their basic needs are met. Nevada County Child Protective Services specifically thanks: Twin Cities Church Congregation who donated over 80 food/gift baskets for our families. We also would like to thank the Nevada County Government Center, Brighton Greens Resource Center, Nevada County Superior Court, Nevada County Sheriff's Department, California Department of Transportation (Nevada County), West America Bank (Penn Valley), Sierra Mountain Coffee Roasters, South Yuba Club, Eileen Lee, Alicia Roy’s Bunco Group, Intel Dinner Group (Folsom/Granite Bay), Project Linus, Emily Adams (EDC Educational Services), SAEL (Sierra Academy of Expeditionary Learning) School, Off Broad Street Girls Group, Patrick Warholic, Alexis McSweeny’s Girl Scout Troop, Laura Mantei and Foothill Fiber Guild for all their time, toys, clothing, food and gift card donations. In order to continually meet the special and ongoing needs of Nevada County foster children, Nevada County Child Protective Services will continue to accept donations. Valuable donations such as blankets, clothes, food, bathroom accessories, gift cards and school supplies are always welcome. These kind contributions to Nevada County Child Protective Services enable us to provide Nevada County foster children with the bountiful holiday season that they so richly deserve. Thank you to everyone who has helped out with this worthy cause! For more information on how to make a donation, please contact Laura Charter for Nevada County Child Protective Services at (530) 265-1650 or laura.charter@co.nevada.ca.us. On January 13th, United Way, in partnership with Interfaith Food Ministry, will distribute food for this 2nd Saturday of the month program. United Way provides a majority of the funding and manpower while Interfaith Food Ministry will provides the facilities, supervision, volunteers and some additional funding. The program, Food Access Saturday: Uniting to Support Working Families is specifically designed for working individuals and families who need supplemental groceries. The collaboration encourages those who have been struggling with food insecurity, but due to working traditional hours, have never received supplemental food support from Interfaith Food Ministry to participate in Food Access Saturday. For: Any working individuals & families who need food can participate. Current IFM clients, who are working and find it difficult or sometimes impossible to come during the weekly distribution, are also welcome to participate on Saturday. New clients will need to provide a picture ID, proof of residency in Nevada County and Social Security numbers for all those in the family. When: Saturday, January 13, 2018, between 10:00 a.m. and 12:00 p.m. The eastern portion of Wet Hill Road in Nevada City continues to be impacted by a slide from uphill properties. The slide area was first identified last year during the atmospheric river events that effected most of California. Since then, some measures have been taken by private property and utility owners to address the slide. Unfortunately, the hillside failed to dry out over the summer and continues to move towards the road. The Public Works Department encourages the travelling public to proceed through the area with caution due to the roadway being narrowed to one lane. For more information on County road conditions, please contact the Department of Public Works at 530-265-1411 or at public.works@co.nevada.ca.us.